While the full details about its performance have not been revealed, the Mustang Shelby GT500 is set to be the most powerful yet. Indeed, Ford has introduced its latest model at the Detroit Auto Show. Originally launched in the 1960s, the Mustang GT500 has received some modifications. Indeed, the Ford vehicle is now dubbed “the most powerful and fastest ‘Stang to date”. Equipped with a 5.2-litre supercharged V8 motor, the car comes with more than 700 horsepower. Moreover, its acceleration goes from 0 to 60 mph in only 3.5 seconds. Additionally, it seems that the Mustang Shelby GT500 is the first model to benefit from certain upgrades. Indeed, aside from the high horsepower, the car is also equipped with 7-speed, dual-clutch transmission, which is reportedly the fastest. Ford’s company executive, Hermann Salenbauch, states that it is, “capable of shifts in under 100 milliseconds”. Furthermore, the Mustang Shelby GT500 has been redesigned. 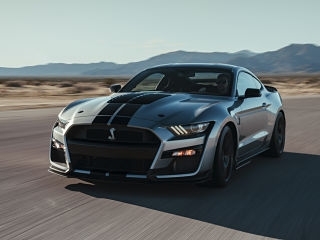 It reportedly features a more “menacing” look that the previous version, which is the Shelby GT350. A revisited grille, fastback design, and broader stance enable better downforce and aerodynamics. The inside of the Ford auto comes with Dark Slate Miko suede, like its predecessor. Aside from the Mustang Shelby GT500, various automobiles were displayed at the Detroit Auto Show. For example, brands like Genesis, Hyundai and Ram introduced their automobiles and took home several prizes.